About two thirds of the people living in Burundi are Christians, primarily Roman Catholic. One third follow traditional African beliefs and worship spirits. Burundi has 109,138 Seventh-day Adventists in a population of 10,483,000. Most of the Adventists living in Burundi live in the countryside, where they farm or raise cattle. Loinçon [LOY-son] lives in the hills outside the capital city of Burundi. [Locate Burundi in east-central Africa.] Ever since he can remember, his parents have taught the children to pray and use their talents for God. Loinçon and his older sister enjoy singing in church, and sometimes they go with their father to visit neighbors and tell them that God loves them. Some people thank them for coming, but others don’t want to hear about God. But Loinçon has decided that it’s important to tell people about Jesus, even if they don’t accept Him as their Savior. One of Loinçon’s friends attends church with him and has joined the children’s choir. But his parents weren’t happy that he was going to church on Sabbath. They told him that if he kept going to church with Loinçon, he would have to find another place to live. So the boy went to stay with Loinçon’s family for two weeks. Then one day his parents told him to come back home and promised that he could attend church. Loinçon’s friend loves Jesus and doesn’t want anything or anyone to stop him from worshipping on Sabbath. Several Adventist children attend school with Loinçon. Soon they’ll take the national exams to determine who can go on to seventh grade. The teachers hold special classes on Saturdays to help the students prepare for the exam. The children tell the teachers that it’s more important to worship God than to go to school. Although the teachers and principal could make it difficult for the students who skip classes on Sabbath, the children praise God that so far the teachers understand and allow them to miss the classes. Sometimes their friends ask them, “Why don’t you come to school on Saturday? You can go to church after classes.” Loinçon tries to explain the importance of obeying God’s laws. “I’m not ashamed to share my faith,” Loinçon says. 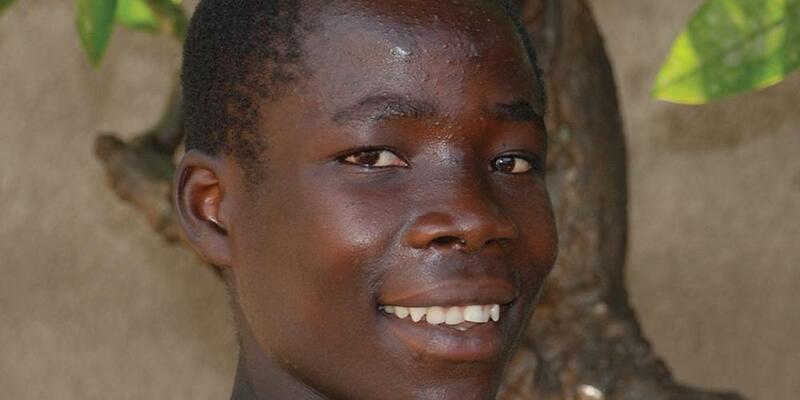 “I will tell my friends about God, even when they laugh at me.” Loinçon is a missionary. We can be missionaries too as we tell our friends that we love Jesus and invite them to worship God with us. Will you be a missionary this week?